Peter Salerno Inc., Former Marvel Comics President Partner on New Custom Kitchen Design – Design Your Lifestyle. 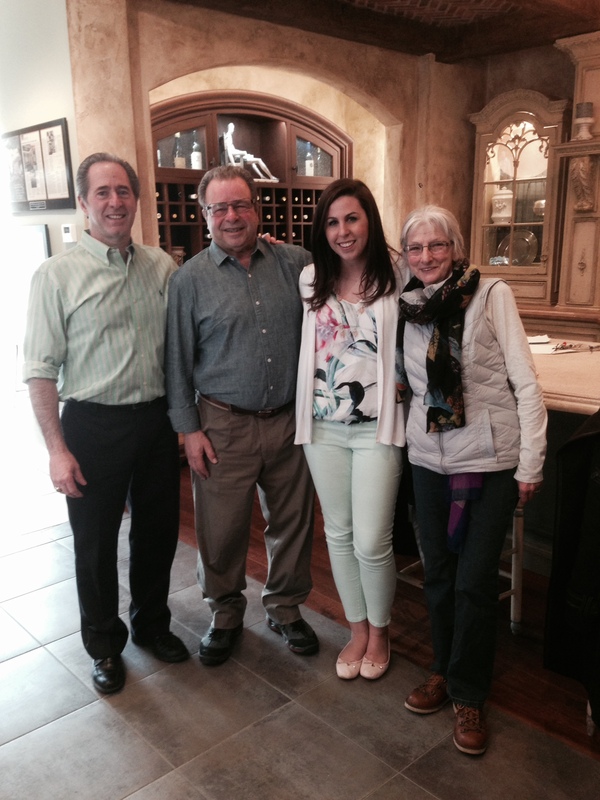 Peter Salerno and his daughter Gabrielle meet with Joe and Linda Calamari. Former Marvel Comics President Joe Calamari and his wife Linda were valued guests this week at the Peter Salerno Inc. showroom in Wyckoff, New Jersey. The Calamaris met with Peter Salerno regarding a new custom kitchen design project – and just like the fantastic world of Marvel Comics, the results will blow you away! Peter Salerno’s personal and professional families extend a “thank you” to Joe and Linda for their visit. Joe even took the time to sing “Happy Birthday” to Peter’s daughter Gabrielle – how great is that?! A wonderful time was had by all – it’s these kind of personal interactions that fuel Peter Salerno Inc.’s reputation as a client-driven custom design firm. If you’d like to create your own custom designs and working relationships with Peter Salerno and his team, fill out the contact form below! ← Peter Salerno Attends CIA Culinary Class: Get CIA Chef Recipes!